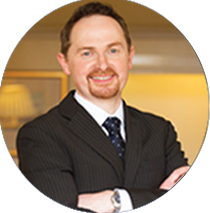 Dr Andrew Cairns is a Consultant Rheumatologist in the Belfast HSC Trust based at Musgrave Park Hospital, Belfast where he was appointed in 2004. Dr Cairns also provides rheumatology clinics in Belfast City Hospital and Lagan Valley Hospital Lisburn. He qualified in Medicine from Queen’s University Belfast in 1995, trained in Belfast and Edinburgh and is an Honorary Clinical Lecturer at Queen’s University, Belfast. He is on the GMC Specialist Register for Rheumatology. He is a Fellow of the Royal College of Physicians of London, the Royal College of Physicians of Edinburgh, and the Royal College of Physicians of Ireland. He is a member of the British Society for Rheumatology and the Irish Society for Rheumatology. He also holds an MSc degree in Sport and Exercise Medicine. He is a musculoskeletal ultrasound tutor and has published in a wide range of rheumatic diseases including rheumatoid arthritis, ankylosing spondylitis, SLE, and in the use of biologic drugs and musculoskeletal ultrasound. An unusual “gouty” case of back pain and fever. “Monarthritis” in a young man. Very-long-chain acyl-coenzyme A dehydrogenase deficiency–a new cause of myoglobinuric acute renal failure. Cairns AP, O’Donoghue PM, Patterson VH, Brown JH.